Blowing bubbles and watching them float and pop against a background of blue sky is a simple pleasure. Trying to show your kids how to blow bubbles is not quite so relaxing, but hella fun! 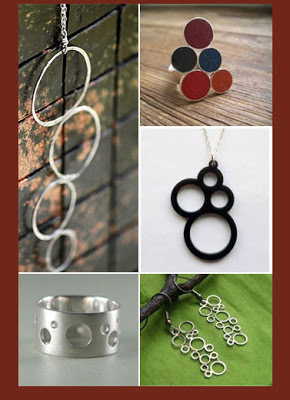 I love all these pieces, but the piece that started me thinking about bubbles was Nina Dinoff’s bubble ring (top left). Colorful, fun and modern. Nina Dinoff is part of WHAT designers and you can find some of her work in the store, the ring is available directly from the designer.